Spanish courses at Carden Conservatory will provide students the opportunity to develop language skills (conversations, vocabulary and fundamental grammar) and cultural competence in the target language, through fun and creative activities, such as songs, games and role-play. Listening, reading, writing and communicating about the issues that are relevant to students’ lives will be the main objective. 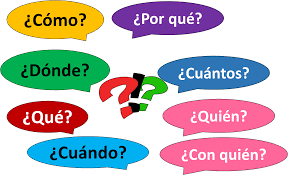 Since it is important at an early stage of language learning to build up vocabulary, the environment in the classroom will encourage all students to communicate using the target language, and to view language learning as an opportunity to gain an awareness and appreciation of Spanish speaking cultures, without the anxiety that many students experience in a language class. Our goal is to make Spanish learning enjoyable!